Buffet and refreshments will be provided at the start of the event, kindly sponsored by The Pit Stop who are based on the Shoreham Vehicle Auction site. 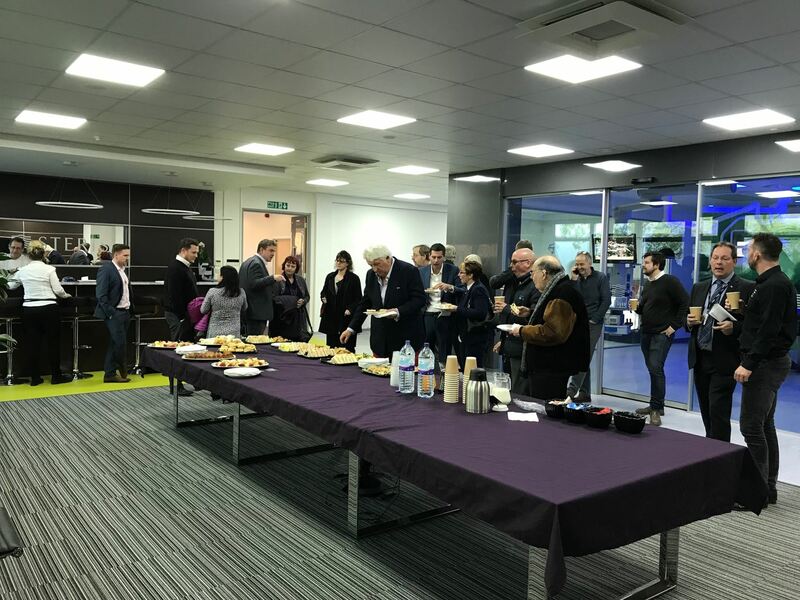 The AGM is an open meeting, however only members (companies based on the business park) are allowed to vote on motions and there is a strict ruling of one vote per member. The AGM will be run in accordance with BID best policy, and will elect the Members of the Advisory Committee for the forthcoming year. Applications are invited for any person wishing to stand for election as a Member. 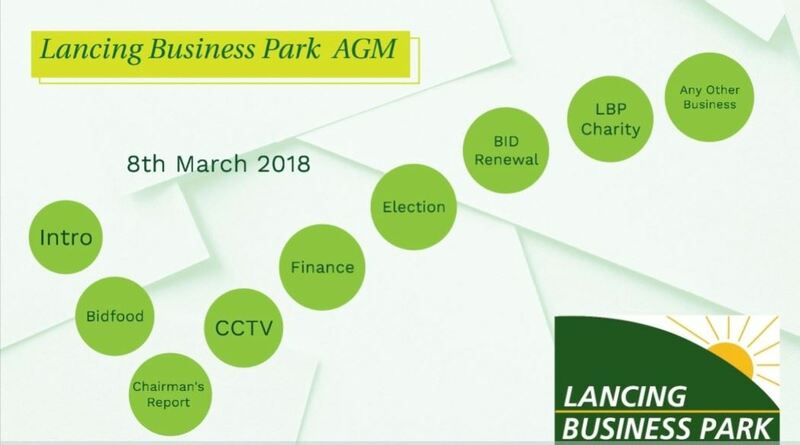 A notice signed by a Member qualified to vote at the Annual General Meeting should be sent to Lancing Business Park Ltd. The notice must state their intention to propose their nomination for appointment and must be accompanied by a notice signed by the nominee of his/her willingness to be appointed. The closing date for receipt of nominations is Thursday 1st March 2018. 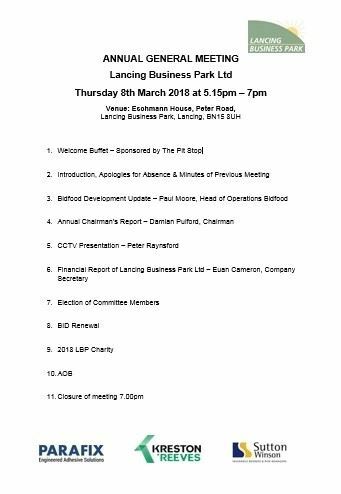 Please see below the LBP AGM Agenda. Please register your attendance and we look forward to meeting you on Thursday 8th March 2018.